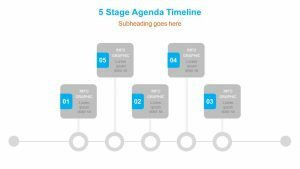 Detail the steps that need to be taken in order to complete your agenda with the 6 Point Agenda Timeline. 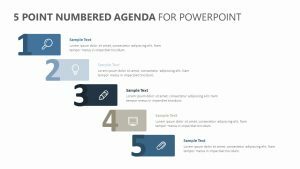 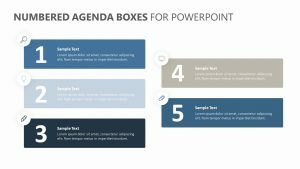 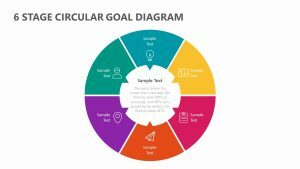 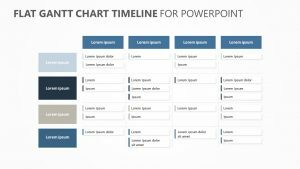 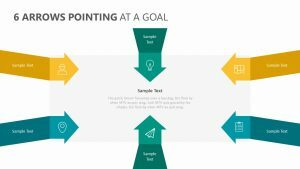 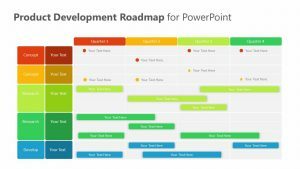 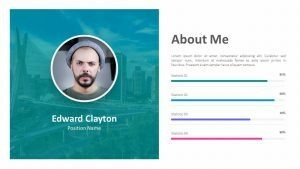 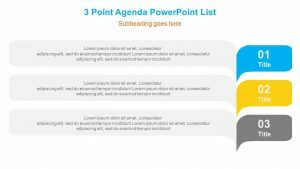 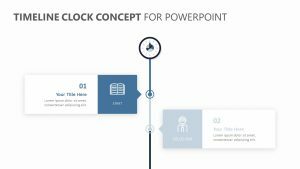 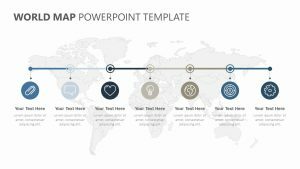 The 6 Point Agenda Timeline is a single, totally editable PowerPoint slide that will let you change the icons, colors and text as well. 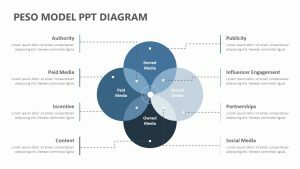 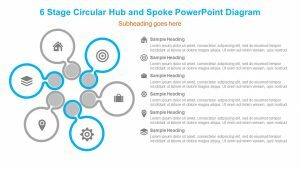 With this slide, you have six different circles, each one with its own different color to make it stand out. 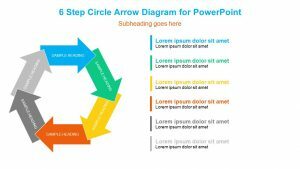 The colors can be changed, as can the space for a title beneath each circle to label what the step is. 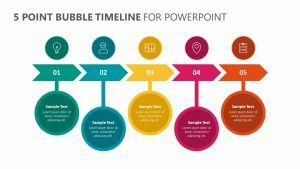 There are arrows that point to the different circles to show the flow.